JINZA and our team have been incredibly honored to create wedding dresses for brides from different cultures. We’ve had the opportunity to learn about so many different wedding customs, specifically about the dress style and color brides will choose according to their cultural, or religious traditions. White, red, sleeveless, or more more modest… we have done it all. We honor each tradition and unique culture. It is such a pleasure to work with brides from different cultures. When they walk in with their families and friends, we sit down, we talk. Based on their venue, ceremony tradition, and culture, we craft each dress based on their unique request. Many brides ask why they should go with a custom designed dress, the answer is to get a unique dress that people have not seen before, but fits you perfectly. 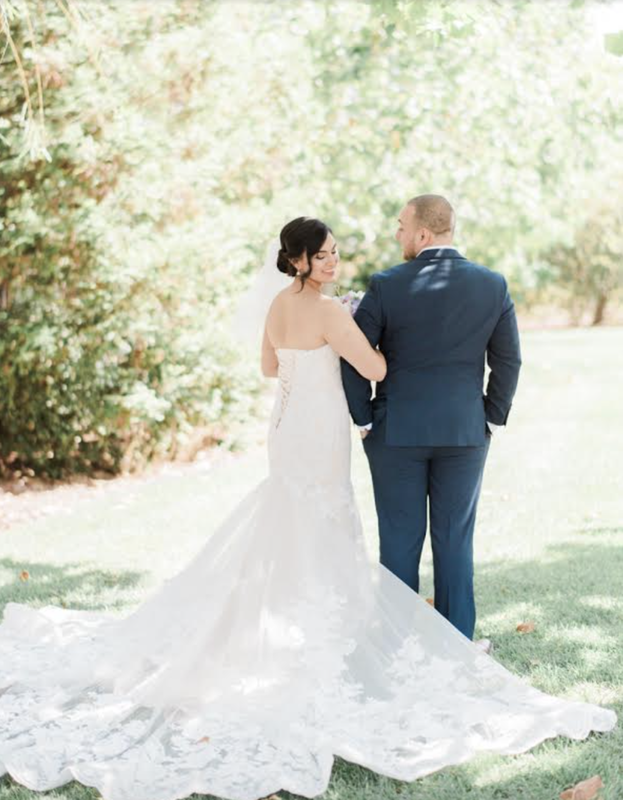 We have learned so much in the past and we want to share some general guidance for a bride who is looking for a wedding dress that honors her heritage. 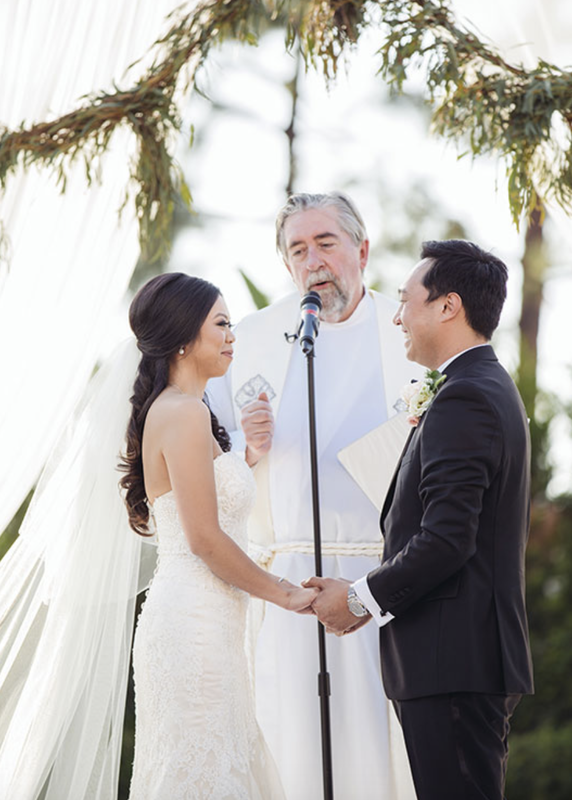 It is always prudent for the bride to ask the wedding officiant in advance of buying a dress, if there are dress codes or requirements, particularly if the wedding is taking place in a religious venue. An Orthodox Jewish bride usually wears white and her collarbones, elbows and knees must be covered. Additionally, wearing a veil is a must. We have worked with a Jewish bride previously, who bought a strapless dress, but then found out she would need a dress that at least covered her shoulders. So we made her detachable straps and a jacket two weeks before the wedding. Therefore, it is important to ask your Rabbi for his guidance before buying a dress, so we don’t have to worry about any last minute changes before the wedding. A modern, reform Jewish bride nowadays can normally wear whatever she wants. Some Rabbi encourage brides to be mindful of the sanctity of the moment. A bolero jacket or shawl may be worn over a revealing dress for modesty during the ceremony. The JINZA team has worked with both modest and modern Jewish brides. A classic and elegant design is always a must. Some of them have lace strapless dresses from head to toe, some of them have high neck ball gown, and some of them have a high neck, covered back trumpet dress. Nevertheless, it looks like French lace is always involved in the dress for a Jewish bride. 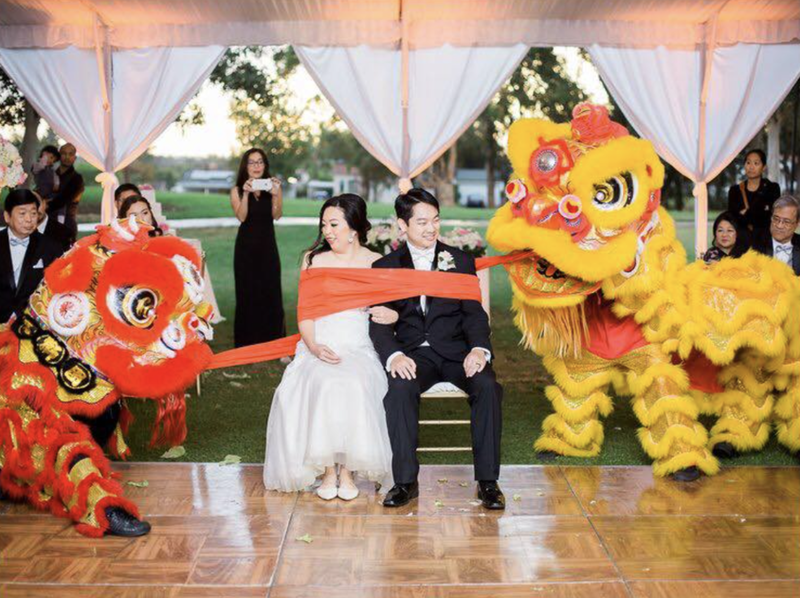 Although most Western brides wear white, a traditional Asian bride wears red. 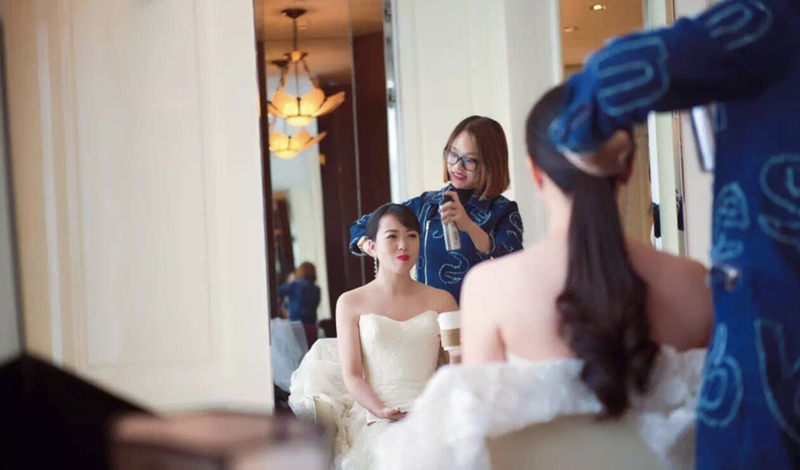 Often a Chinese bride will wear a Western wedding gown for the ceremony and change into a traditional red tea ceremony dress for the reception. Decorations are usually red, too. Red in Asian culture means blessing, good luck and positive energy. Some brides’ family will decorate the room in red, put peanut, sunflower seeds, logan under the duvet, it means the blessings to have a big and happy family after the marriage. The JINZA team has worked with Chinese brides, Vietnamese brides, Korean brides, Japanese brides, Filipino brides and many more. Asian wedding always tend be large and colorful celebrations. Nigerian brides usually wear a colorful traditional fabric from her family’s tribe, her new husband's tribe or sometimes both. This material is often gifted by a family member, then sewn into a modern design. Brides often wear a Nigerian head wrap, called a gele, to complete the look. Traditionally, in Nigerian weddings you change out of your white wedding dress at the reception and into your custom-made traditional outfits. The bride’s dress was traditionally sewn by her family members at the groom’s family expense. Old fashioned dresses were heavily influenced by Spanish tradition and purported designs inspired in the Flamenco-type dress. Nowadays, Mexican brides look into bridal magazines for inspiration and the JINZA team has made various styles made to their own body type and preferences from modern see-through body fitted gowns to long sleeves classic ball gowns. Many Mexican brides get married in the church. JINZA has learned that a white dress is preferred for the majority of the brides and a veil is preferred. Brides may wear bolero jackets or shawls to cover their bare shoulders. A Hindu bride wears a brightly colored sari, often red with gold threads. Normally, a silk sari in a bright color is worn and there should be lots of fresh flowers around. A lot of modern Indian brides now seek to combine Western culture and Indian tradition. JINZA has been lucky enough to create a white wedding dress with a silk chiffon sari.